If you are looking for a truly unique space to conduct business close to a major transportation facility, the Interstate and minutes from the economic hub of the two valley region, consider leasing from the Roanoke Regional Airport Commission. The Airport Commission is able to offer leasing for two separate buildings with exceptional views and spaces in a fabulous location. These two sites are ideal for commercial and retail opportunities. The sites are located adjacent to Aviation Drive which is literally one turn off a major interstate. The parcels total approximately 11 acres, 56,485 total square feet, and can be used for restaurants, a brewery, convenience stores, salons, gyms, call centers, bakeries, office buildings, or many other uses. Whether you’re planning on building a business on the airport or simply need a convenient location to conduct business, we’re excited to hear about how we can help your company grow. Doing business next to Roanoke-Blacksburg Regional Airport will bring your business close to the ever-growing metropolitan area of the Roanoke and New River Valleys. See the links below for the property sheets and contact information. 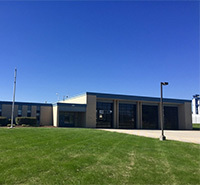 Building 21: This is a solidly constructed one-level brick building with open glass bays that sits on 2.67 acres at Roanoke-Blacksburg Regional Airport. A former fire station, it features 5485 SF in 4 large bays that currently house Airport Equipment, but could be used as an open office environment - and also has several individual offices on the interior of the building. Located just north of Roanoke-Blacksburg Regional Airport on Aviation Drive. 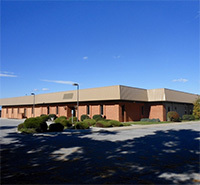 Building 51:Sitting on over eight acres and offering 367 parking spaces, this is a 51,000 SF building on two floors. The building features an open floor space, with several interior offices and a large server room. This property sits at the end of a cul-de-sac in an Industrial Park very near the Roanoke-Blacksburg Regional Airport, and is accessible from both Airport Road and Aviation Drive.